GENMEDA is a network of seed banks and conservation centres of genetic resources of the Mediterranean flora who share a common floristic region, a geographical area with a similar landscape and a common set of problems concerning natural environment disruptions. GENMEDA’s 18 members and 4 new associate members from 12 countries of the Mediterranean contribute to the conservation of Mediterranean flora genetic resources. The annual meeting of GENMEDA took place in Malta, 12 November 2018, under the support of the ‘CARE-MEDIFLORA’ project. It was within the 2nd Mediterranean Plant Conservation Week which took place place at the University of Malta, Valletta Campus, Malta from 12 to 16 November 2018. 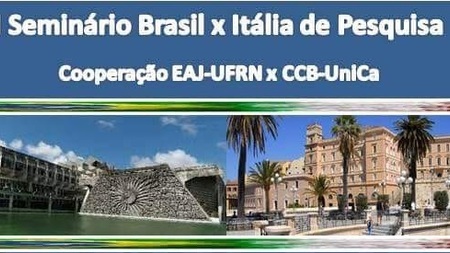 On 4th September 2018, at the Auditorium Escola Agrícola de Jundiaí - UFRN, in Macaìba, Brazil, the President of the GENMEDA network, Gianluigi Bacchetta, Director of Hortus Botanicus Karalitanus, University of Cagliari, will participate in the "I Seminário Brasil × Itália de Pesquisa” to celebrate the 4th year of collaboration between EAJ-UFRN and CCB-UniCA. The 2nd Mediterranean Plant Conservation Week (MPCW) will take place in La Valetta, Malta, 12-16 November2018. 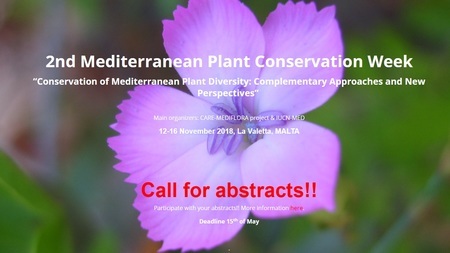 This year's theme is “Conservation of Mediterranean Plant Diversity: Complementary Approaches and New Perspectives”. The Call for Abstacts is now open until 15 May 2018.